Mo, our then 8 year old cat, was limping. Tests revealed his knee was deteriorating – labs came back osteosarcoma. His rear leg was amputated at the hip…tests also revealed no metastasis. Fast forward a year, he is still doing great. I know osteosarcoma is rare in cats, what is the prognosis – longevity? Do I continue testing to see if it has metastasized? Or if the limb is removed, is the cancer is gone? What are expectations for him? Should he be on supplements or special diet? Any information would be appreciated and thank you! Mo and family, welcome. We are so glad you joined but of course sorry you had to. We will try to offer what we’ve learned about osteosarcoma in cats but first I’m curious if you’re working with a veterinary oncologist yet? 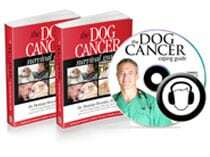 If not, that would be my first recommendation, just to get in-person insight from a vet cancer expert. I’m happy to hear Mo is doing so well! What made you wonder all of these things a year after surgery? Did something happen? Just curious. Yep, osteosarcoma in cats is super rare. And the good news is that it has such a good prognosis that most veterinary oncologists don’t even suggest chemotherapy for treatment. In our recent Tripawds News Blog post about a new canine osteosarcoma immunotherapy treatment, Dr. Jeffrey Bryan says “Fortunately cats tend to do better with amputation alone than dogs do.” Other oncologists we’ve talked to have confirmed that. We have had quite a few osteosarcoma cats here who have done great long term! These Tripawd Cats with Osteosarcoma forum topics and blogs are a good place to see some examples. I hope this helps! We would love to see pictures of Mo. Here are instructions for adding images to the Forums, let me know if you’d like help. So great to hear how well Mo is doing on three! And clearly Mo does not count days on a calendar and he is fully focused on living in the NOW. Jerry provided such great input and links. You’ll not only be informed, but uou’ll also be inspired and reassured! As far as continuing to do tests, it’s really a personal decision based on some variables, as well as your own feelings. If an issue did come up, would you pursue a treatment (if one is even available) and what would that involve as far as cost, risks, side effects, success rate, etc.? No right or wrong. Everyone draws a line jn the sand in a different place. No matter what, Mo is happy and loved and that’s all that matters to him! My cat Zoe had a nonskelatal Osteosarcoma. That was in 2014. She is now 20. We did no treatments, except removal of the tumor. I am thinking she will succumb to old age before a reoccurrence of her cancer. They were not sure, as her margins were not great. I feel these 5 years have been bonus years. She is now a lazy old lady! Wow TWENTY? Oh my Cat that is wonderful! Amazing! Thank you for sharing Lori. Give her an extra smooch from us.